Caring for your laminate flooring is relatively easy. It brings the beauty of a natural wood floor and the easy maintenance of a resilient floor together so you can have the style you want and the carefree maintenance you need. 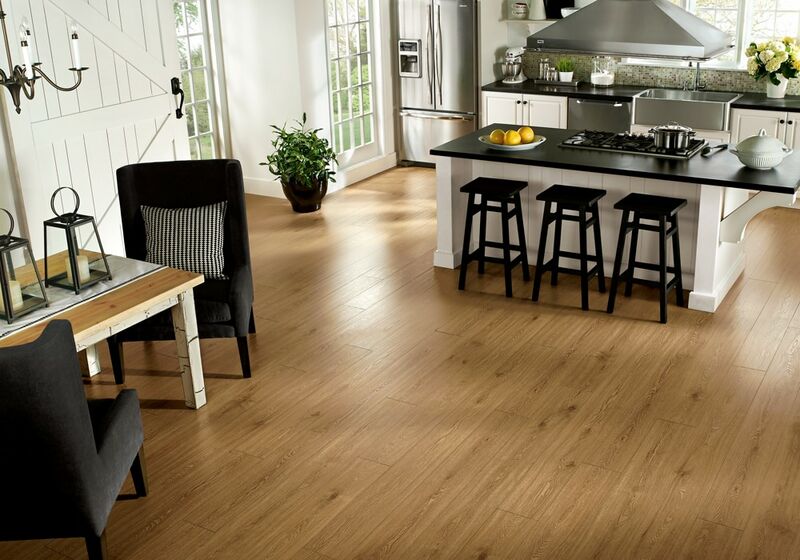 While laminate flooring is remarkably durable, there is of course no such thing as an indestructible flooring material. By observing the following precautions, you can expect years of beauty from your laminate floor. For general cleaning, use a dust mop or wipe occasionally with a damp cotton or cloth mop. If heavier cleaning is needed, an occasional damp mopping with a mild cleaning product is suggested. Do not use soap or detergent-based cleaners, wax-based products or any type of polish as they leave a dull and filmy residue. Do not flood your floor with water. To help eliminate fine particles of dirt and grit that act like sandpaper and will scratch any floor, vacuum or sweep daily. The vacuum head must be a felt or brush type. Be certain that the wheels of the vacuum are clean and do not damage the finish. DO NOT USE A VACUUM WITH A BEATER BAR HEAD. Remove spills promptly using a soft cloth and cleaning products recommended by the manufacturer. Be sure to keep pet nails trimmed and paws clean and free of dirt and gravel that may scratch your floor. Place protective pads beneath furniture legs, tables, and other easily movable furniture to reduce scratches. Replace plastic casters on chairs with rubber wheels, and lift rather than slide heavy objects across the floor. Dalene Flooring recommends that all chairs and furniture have the proper protection applied to the bottom to prevent damage to your laminate floor. Remove shoes with spiked or damaged heels before walking on the floor. Spiked or stiletto high-heel shoes may cause damage to laminate floors due to the extremely high compressive force they generate. Such footwear can produce dynamic loads in excess of 1000 pounds per square inch, even when worn by someone of slight or average build.